Find out how the Toronto Star covered Toronto in 2011. Discover where the newspaper covered local news in the city and examine the types of stories the newspaper reported on in each ward. days between the January and August study period in 2011. The geographic patterns of news coverage also vary by topic. The map showing the places mentioned in arts and entertainment stories and photos, for instance, looks different from the map of crime coverage. 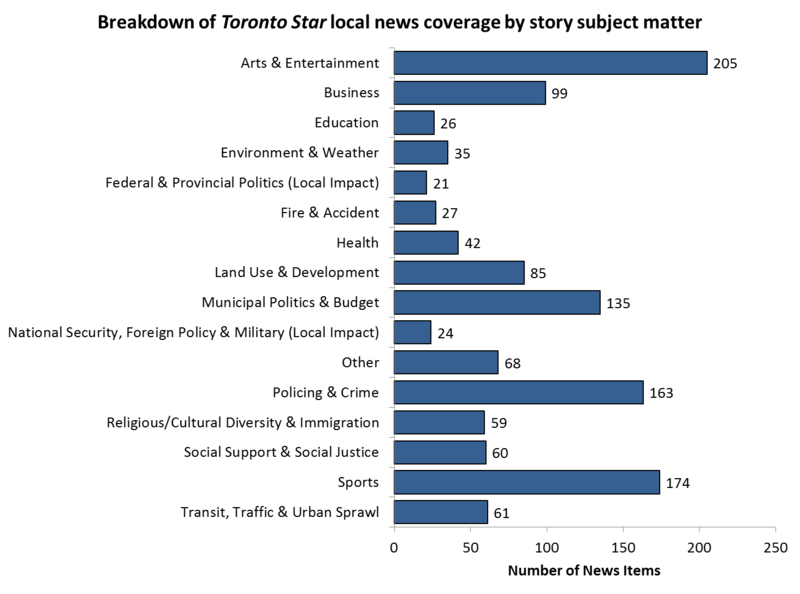 To explore the geography of news coverage by topic, click on the following links for the five most frequently mentioned news categories in the Toronto Star.